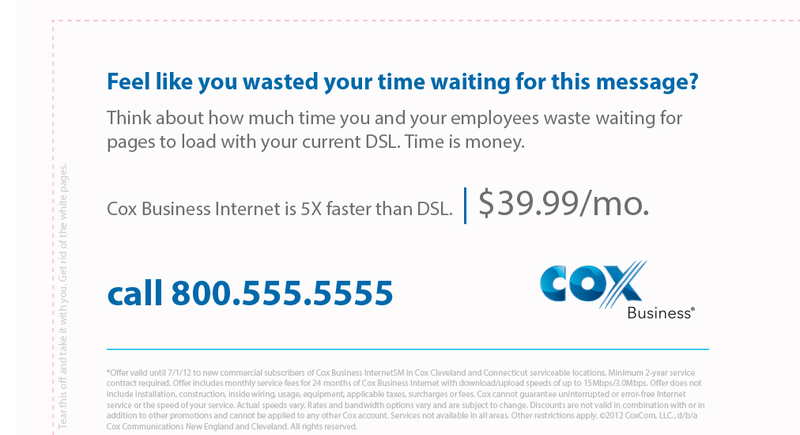 Cox Communications called upon Quez Media for a large mailing campaign, in search of something different and unique that would actually help their high speed business internet offering stand out in a world of junk mail. 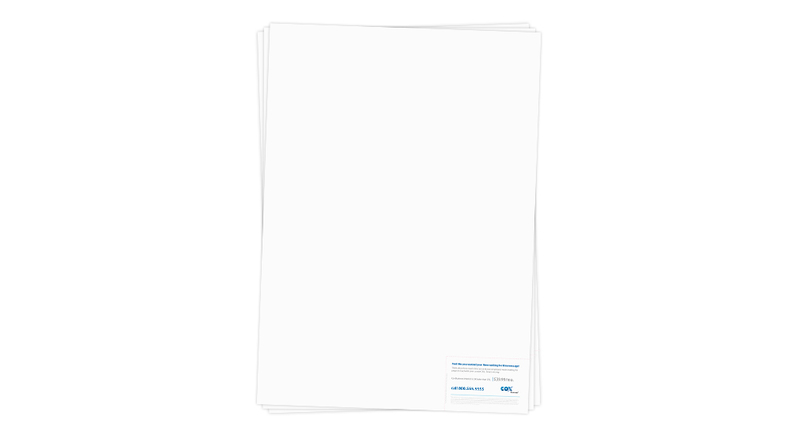 The creative team at Quez Media came up with something that has never been done before (that we know of) in direct mail- a large format, self-mailing poster that was completely blank. The only message on the entire two-sided blank poster was a small tear-off on the inside, in the lower right corner. "Feel like you wasted your time waiting for this message? Think about how much time your employees waste waiting for pages to load with your DSL." The small business owner then realizes of course, that the idea was to reproduce a slowly-loading webpage by showing nothing but white for several seconds, literally wasting his or her time having to wait for the message. An 800 number was added for tracking, and the response rate was more than four times higher than any of Cox's previous direct mail campaigns.